AMD Radeon 6850 Specs and Pricing Revealed. AMD has just revealed the specs and pricing of the upcoming HD 6850 GPU based on the Barts Core and also known as the XT Variant. As we already know that the new Radeon GPU’s are built on the 40 nm process. The card will feature 800 Shader cores which are more complex than the ones used on the 5000 Series giving them a slight edge over the previous generation cards. The card will have a 1GB GDDR5 Memory along a 256-bit wide memory interface, The memory itself runs at 1200 MHz (or 4800 MHz effective) and the memory chips used on the card are rated at 5 GT/s. Core clock is set at 775 MHz. The reference design shown below uses the same egg-shaped cooler used on the HD 5750 but AMD Partner’s will release custom cooler based cards too. The card will have a TDP of less than 150W and will be powered by a single 6-pin PCI-E power connector. Only the FBP price has been revealed yet which is expected to be US $175. Release date of the Barts is expected in November. 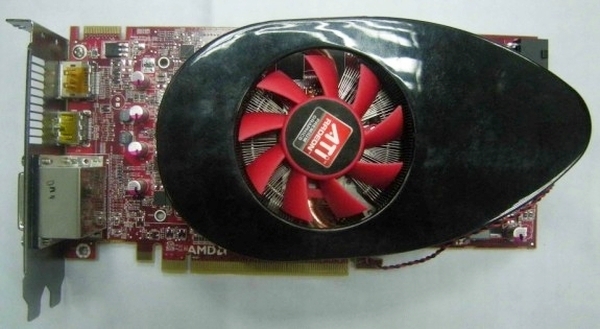 More news on the AMD Radeon HD 6000 Series here.